Kathryn Gretsinger, UBC Graduate School of Journalism, CBCMaryse Zeidler, UBC Graduate School of JournalismBritney Dennison, UBC Graduate School of JournalismDr. Bill MacEwan, Clinical Associate Professor in the Department of Psychiatry at the University of British ColumbiaThis is a workshop led by Kathryn Gretsinger, UBC Graduate School of Journalism. While reporting on mental health has improved in the last ten years, much remains uncharted territory. What knowledge and skills do journalists need to develop stories about mental illness that don’t reinforce flawed stereotypes? This workshop will concentrate on the practicalities of researching and reporting on themes discussed in the plenary session From Fear to Fairness: Covering Mental Illness in Canada , problems imposed by the news budget, and finding new ways to put complex stories about people with mental health challenges in the mainstream, where they can make a difference.This workshop co-presented by the Canadian Journalism Forum on Violence and Trauma. Police news releases that read - suspect, known to police, has a history of mental health issue. How can we just put it in our reports without thinking and if you ask for more information police cite privacy. Audience points out reporters jump the gun and run with the story when it is breaking. But as soon as we find out mental health issues might be involved, we slam on the breaks and stop digging. We are told not to cover suicides because it promotes copycats. But, Kathryn Gretsinger says it's been blown up. A recent study shows that is what we assumed, not actually proven. But Gretsinger points out the problem is the phrase "committing suicide" which makes it sound like a crime. 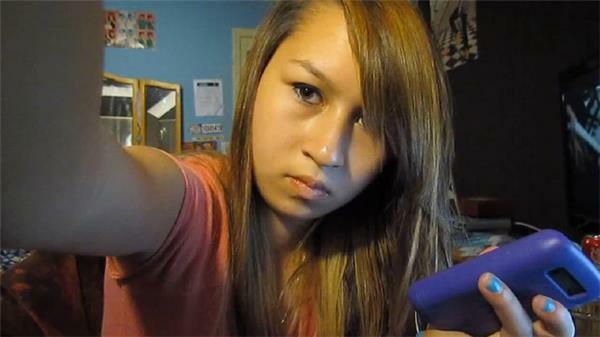 With never-before-seen videos and online chats, the fifth estate tells the real story of what happened to Amanda Todd, the B.C. teen haunted by one revealing photo on the Internet. The blackmail and the sexual extortion that drove her to her death - and the new breed of online predators who threaten other young people online. The Amanda Todd Story - the suicide story all news channels covered. Lively debate on how to cover issues of mental health and reporting on suicides. Lots to consider and an endless discussion on the complicated issue.